Christmas Miracles come once a year and we want to share our 2nd Annual Trip to the North Pole with you! Did you know 1 in 5 kids struggle with dyslexia? We want to share our love for reading and Haley’s Hope by having a Story Night that you won’t want to miss. 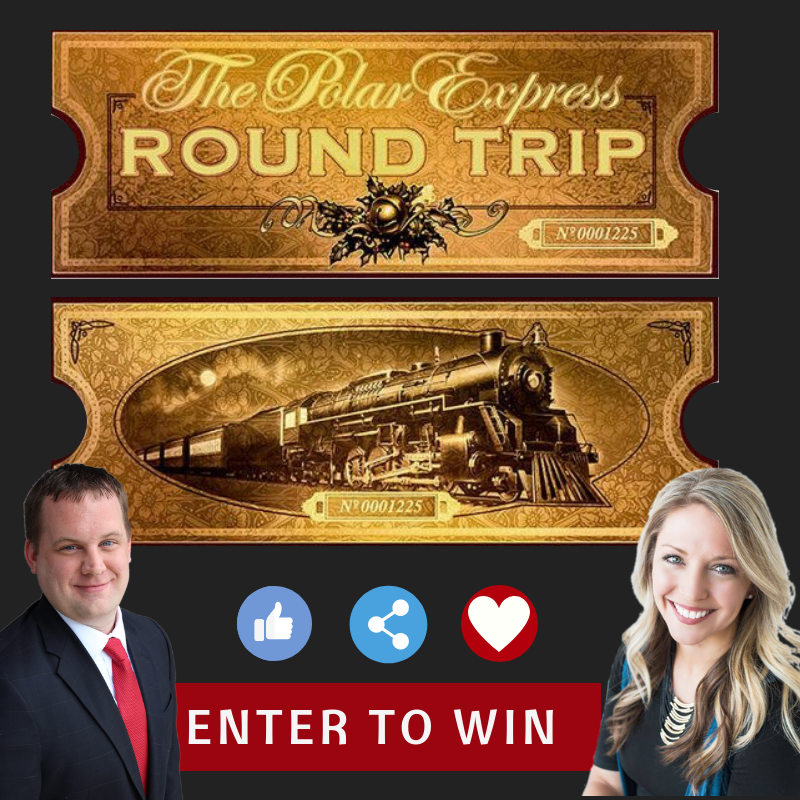 Come to join us for a fun GIVEAWAY event!on November 27th 2018* We will be announcing the winner of 4 tickets to the North Pole Express at Union Depot, along with a one-night hotel stay at the Hyatt Place St. Paul/Downtown. Train tickets are for Dec 8th, 2018 and the hotel stay is for Dec 8 – Dec 9th, 2018. The giveaway event will include a live reading of Christmas stories with Haley’s Hope and many more fun activities and treats for the kiddos! Winners will be announced at the event. Make sure to register and attend our event to WIN! Spread the word and tag your friends to join us! *No purchase necessary. Must be present at the event on Tuesday, November 27, 2018, to win. The event will be from 6:30pm-8:00pm at Keller Williams Inspire Realty, 4575 23rd Avenue South, Suite 400, Fargo, ND 58104.